High rise buildings are now a mainstay in our modern world, and so are the platform lifts that they’ve brought about. More and more cities in the world have skyscrapers in them than ever before, and if anything the debate is no longer ‘shall we build them’, but rather ‘what do we build them from’. 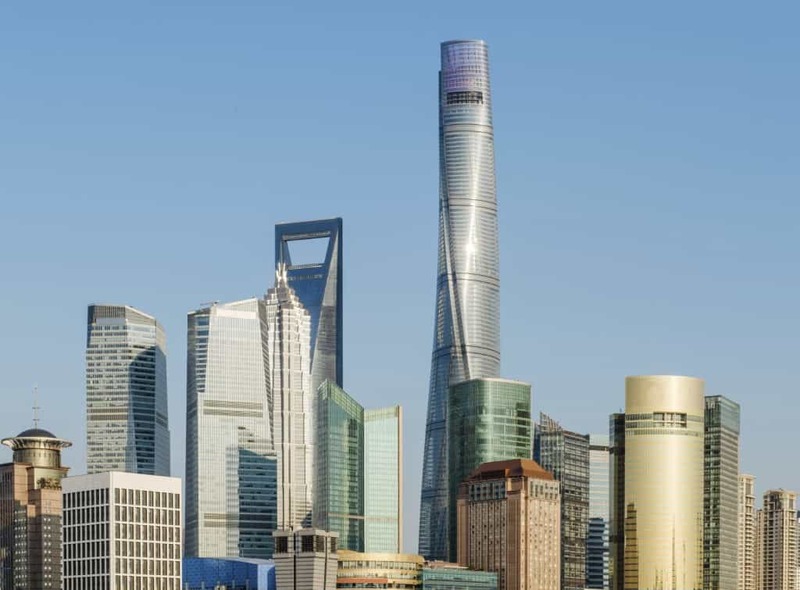 Regardless, the fact is that there are tons of towering buildings out there, so here’s part two of our ongoing series that looks at the world’s tallest buildings. Enjoy! A mixed-use skyscraper that houses a plethora of offices, conference halls and shopping malls, the Shanghai World Finance Centre boasts 102 floors and towers more than 490 metres above ground level. It also happens to boast 91 lifts. Acclaimed for many reasons, the Shanghai World Trade Centre is a previous winner of ‘year’s best completed skyscraper’, and, along with the Shanghai Tower and the Jin Mao Tower, makes up the only three-strong group of ‘supertall’ skyscrapers in the world. The eighth tallest building in the world, the International Commerce Centre actually ranks far higher if you count the floors, as, with 108 separate levels, it is the fourth tallest structure in the world. Regardless of technicalities, the International Commerce Centre is undoubtedly the tallest building in Hong Kong, and it also contains a wide range of different lifts, including shuttle and VIP elevators. Two is better than one, and, ever since the tragic destruction of the World Trade Centre, the Petronas Twin Towers now hold the mantle of ‘tallest twin towers in the world’. They conform to a very distinct post-modern style, and each has around 88 floors with 78 lifts. Designed by César Pelli, an Argentine architect, the Petronas Towers are very much an icon of modern day Kuala Lumpur. Another behemoth from the Far East, the Zifeng Tower stands 450 metres tall, and contains 66 floors and 54 elevators. Although most of the building plays host to retail and office space, the daunting pinnacle of the tower serves as a public observation deck. A lot of thought went into the design, as the stepping, far from just being a design choice, actually serves a functional purpose. Having read about all of those buildings, just try to imagine how long the staircases would need to be if you didn’t have lifts in place! Of course, the Axess2 team is more likely to be found supplying lifts to more modestly proportioned structures, but believe us when we say that we’ve developed some pretty impressive solutions ourselves. To find out more about our available range, contact us today by calling 01200 405 005 or email info@axess2.co.uk. We’ll always be happy to hear from you.